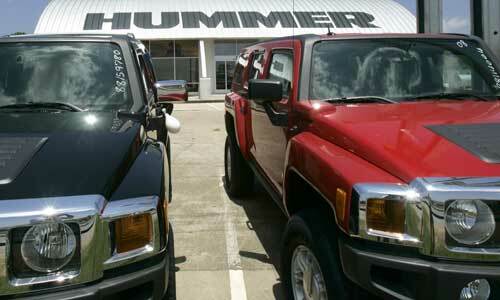 Yesterday GM announced that it Might drop production of the humvee. Ya Think! Jees at 8 miles to the gallon it only costs 30 dollars to drive for one hour on the freeway. Better trade in those Ford Expeditions soon too. I understand that scrap iron is netting about 2.5 cents on the pound right now. or you could use the Humvee for storage until the Chinese arrive to bid on the upcoming USA bankruptcy auction.Let’s see. two and a half cents times sixty five hundred pounds for the average humvee fully loaded – $162.50 should cover it. Can you take a check? I should go into the repo business. the owner’s will be throwing the keys at me…………..sweet. Hey buddy can you spare a Humvee?